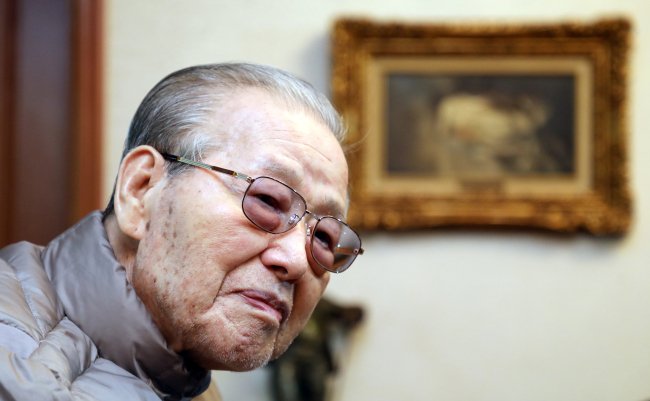 Kim Jong-pil, who passed away on Saturday at the age of 92, was a seemingly ever-present figure in Korean politics, whose influence has been felt since the early 1960s. Kim was a two-time former Prime Minister, the founder of the country’s spy agency and widely-known as the “perennial No. 2 man” in modern Korean politics. He was 92. Kim was transferred from his home to Soonchunhyang University Hospital in Seoul and was declared dead upon arrival at 8:15 a.m., according to the hospital. He is believed to have died of complications due to old age. Born in 1926, Kim graduated from the Korea Military Academy and played a key role in the 1961 military coup that brought Maj. Gen. Park Chung-hee into power. Park ruled the country as president for 18 years until his assassination in 1979. During Park’s rule, Kim founded and led the Korean Central Intelligence Agency, a predecessor of the National Intelligence Service. Kim also went on to serve two terms as prime minister, the country’s No. 2 post, first from 1971-1975 and then from 1998-2000. He was considered one of South Korea’s most influential politicians of the 1980s-90s, being one of the “three Kims,” to dominate local politics together with former Presidents Kim Young-sam and Kim Dae-jung. Kim Jong-pil is remembered as a “perennial No. 2 man” who played a key role in helping many politicians rise to power, despite failing to become the top leader himself. 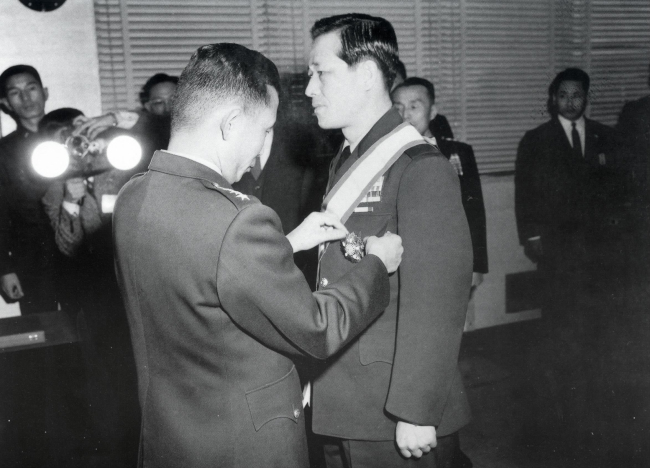 Related to Park Chung-hee by marriage, Kim entered politics by taking part in Park’s 1961 military coup, and served as his right-hand man for much of his rule with hopes of becoming his successor. But after Park’s assassination, a new military junta led by Gen. Chun Doo-hwan seized power through a “counter-coup” in 1979. And Kim was exiled to the US, accused of corruption and forced to surrender much of his assets. Kim returned to South Korean politics after Chun was pressured by a string of mass demonstrations for democracy, to allow Korea’s first-ever free, direct presidential election in 1987. That year, Kim founded his own conservative party and ran in the 1987 election against Chun’s former army colleague Roh Tae-woo and two opposition candidates: Kim Dae-jung and Kim Young-sam. Roh won the election due to a split in opposition votes. Kim Jong-pil placed fourth in the election. And in the years ahead, these “three Kims” would come to dominate local politics. 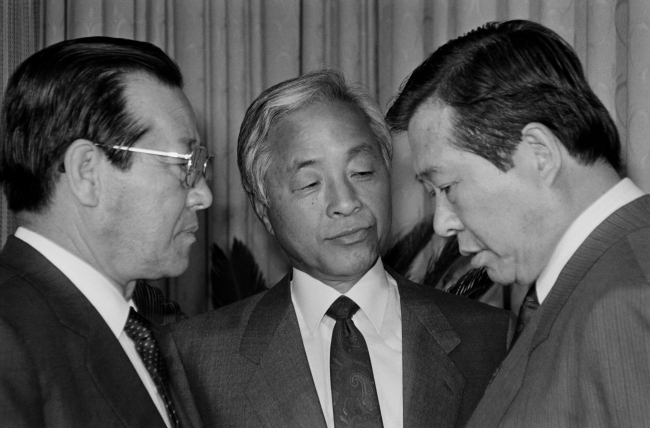 Leveraging his political influence, Kim Jong-pil played kingmaker to help Kim Young-sam win the 1992 presidential election and contributed to Kim Dae-jung’s success in the 1997 presidential election. Over these years, Kim Jong-pil was a 9-term legislator, the longest for any South Korean politician. He resigned from politics in 2004.